Okay, so by law, you might have to disclose the fact that you do own pets, but that doesn’t mean you have to remind a potential buyer every time they enter your home. There are so many red flags that people look for when shopping for a house – a water stain in the ceiling indicates a leak in the roof, cracks in the wall that suggest a shifting foundation, and… believe it or not… PETS, which can present the idea of urine stains, floor scratches, and lingering odors. So what can you do? THE ANSWER: Eradicate all hints that a dog or cat has ever lived there. 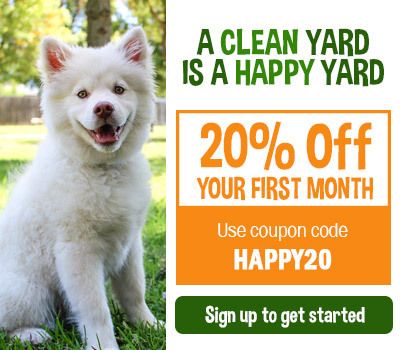 No poop in the yard – The outside of your home is the first thing potential buyers will see… and smell. 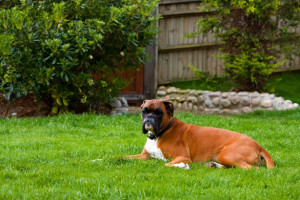 A true petless yard would have a pleasant scent certainly no doggie droppings in sight. Make sure to scoop up all the waste that you can find, even in bushes that can still put out a unwelcoming smell. Following that, restrict your pets to a pen or gated area when outside to lessen the area that needs future scooping. You may want to take your doggie on extra walks for the time being to make up for it. Pet Poo Skiddoo offers professional yard scooping services. Get a thorough one-time scoop including a special deodorizing spray. 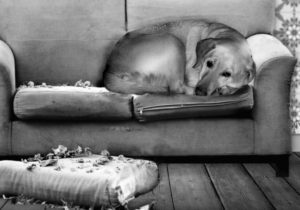 No scratches on the floor – Let’s face it, as well behaved as your pets may be, there will still be some level of wear and tear on your floors. If you have tile, you have it easy. Any scratches will most likely be superficial and can be quickly scrubbed off. Be sure to steam clean the grout or re-grout the spaces altogether if necessary. Wood floors will need a bit more attention. Some minor scratches may be resolved simply with wood cleaner. Deeper scratches can be resolved with wire wool or very fine sandpaper. Scratches that clearly have chipped away the wood can be filled with color matching wood putty. When all repairs are made, use a waterproof primer (such as polyurethane) to protect it. You can then add a coat of Bona Pro Series Hardwood Floor Refresher on top of your sealed floor for some extra shine. 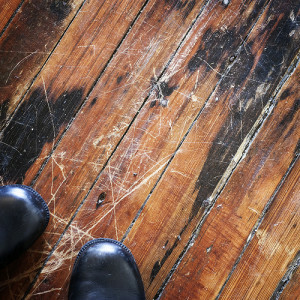 If the wood has stains seeped into it that don’t seem to want to come up, cover the entire floor with a darker wood stain to cover all the spots and even out the color. Your last resort is to completely replace the floor. Although an expensive task, it will significantly raise the value of your home. 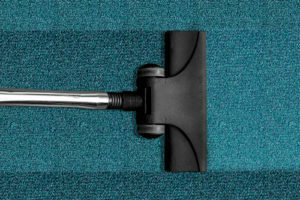 No stains on carpet – You may have been getting by with your home carpet cleaner, but when it comes to selling your house, you should really get it professionally cleaned – not only can a cleaning company attack deeper stains than you can, but provide stronger chemicals to remove embedded odors. There may still be a stubborn stain that remains even after a commercial clean. If not too big, you can cut the unwanted section out and replace with a new matching carpet pad. If the stain is too large or in too many places, you might have to replace your floors with all new carpeting – a harsh reality, but worth it in the long run. *Tip for any type of floor: Have wee wee pads spread throughout the house and have your dog wear a diaper temporarily. Even if your dog doesn’t typically have accidents in the home, all the chaos that goes along with packing and moving things around can cause your dog to become stressed and anxious and may provoke an overactive bladder. Doggie gates and indoor pens can be utilized to contain your pets in a certain section of your house so there’s less to clean on a daily basis. No foul odor – This is a big one. Your house can be full of overwhelming pet smells that you may not even be aware due to your nose being so accustomed to the aroma. Before anything, have a friend come over to sniff out the place and give you an idea of what level of stench you are dealing with. There are so many kinds of good cleaning products can be used, even vinegar and baking soda are a great natural way to clean your house. Pet Poo Skiddoo recommends 256 pet disinfectant for more intense areas (just make sure your pets are kept away from the sprayed areas for 24 hours). If you have cats in the home, hook up an air filter within a few feet of the litter box. Remember to scoop often, consider replacing the box every other day (only fill up the box an inch at a time to save money on litter). If weather permits, open your windows from time to time to let fresh air come in. You might be giving off the wrong signals if your house reeks of cleaning products on showing day, even air fresheners can be suspicious. Instead, cut some fresh lemons and leave out on the counter. Another good trick is to bake a batch of fresh cookies a few hours beforehand to let the sweet aroma spread through the house. No ripped furniture – Don’t show any furniture with claw marks in it. Even though you are not selling the furniture with house, the appearance of damaged furniture may put damaged house into their mind. Some pieces might need to be reupholstered. Try shopping for some interesting furnishings at a second hand store to stage your rooms ( just donate it back later if you don’t want to keep it for the next house). 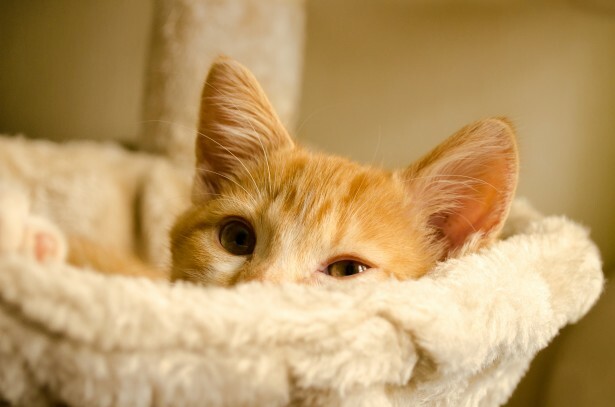 No pet possessions – Of course in a pet-free home, there shouldn’t be any food bowls in the kitchen, half eaten toys on the floor, hairy pet beds in the corner, nor scratching posts of any kind. Have some sort of trunk or bin that you can quickly throw all your pet’s belongings into when you know your house will be seen that day. Tell your real estate agent to give you as much headsup as possible. 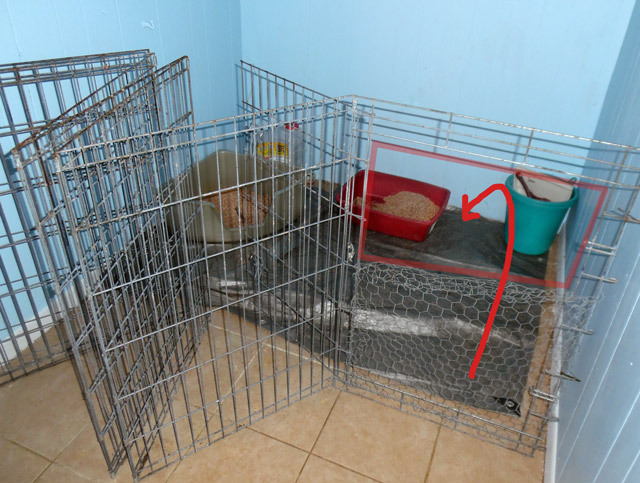 No pet fur – Lint rollers, vacuums galore! Put aside time to practice the ritual of hair removal throughout your house once or twice a day. 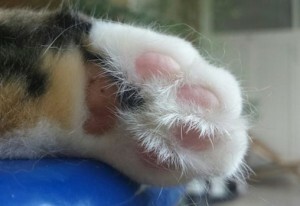 Vigorously vacuum and sweep to eradicate all lint and hairballs from your floor. Get your air ducts cleaned if it’s been a while. No pets – No we’re suggesting to actually disown your furry family members, but just remove them from the home for a while, at least during showings. More than likely, you are not going to want to board them as you don’t know if it will take a week or six months before your house is sold. Look into the option of renting a pet-friendly hotel or apartment for the time being. A cheaper option could be to have a friend watch over your pets while you maintain your appearance of having an animal-free zone. 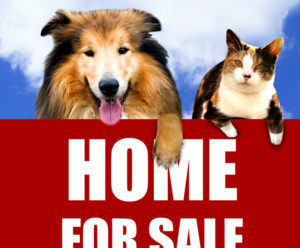 If for whatever reason you choose to have your pets reside at your home while it’s up for sale, you must make sure to remove them from the premises during all showings. 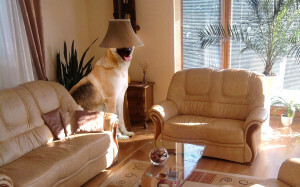 How else can you disguise yourself as a pet-less resident if you have pets in plain sight! It’s important to reduce the stress of both you and your pets. Moving is a big transition that temporarily removes you from your preferred way of life and strips you of your personal taste. But remember, the more successful you are at concealing your true identity…or any identity for that matter… the faster you will sell your house. 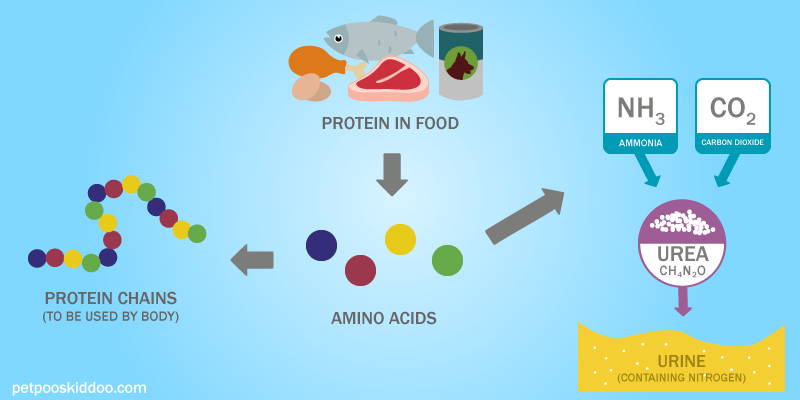 Can you (and should you) alter the nitrogen and pH in your dog’s pee? 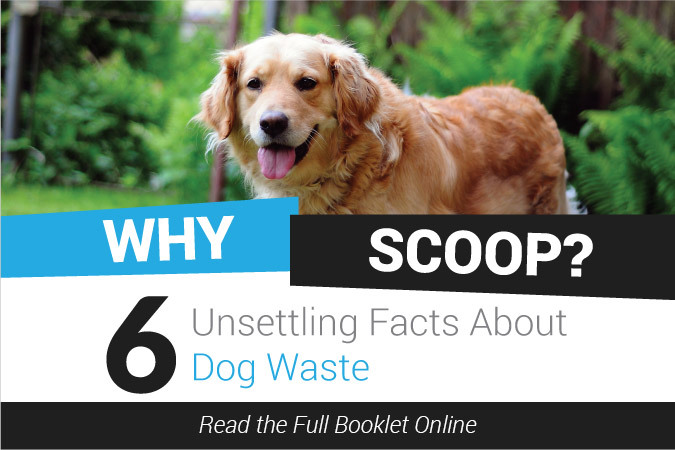 Stop your dog from eating kitty litter and his own poop!